Vintage 14k Yellow Gold Omega Fancy Lugs Watch Case. Flared fancy lugs extend down the case. 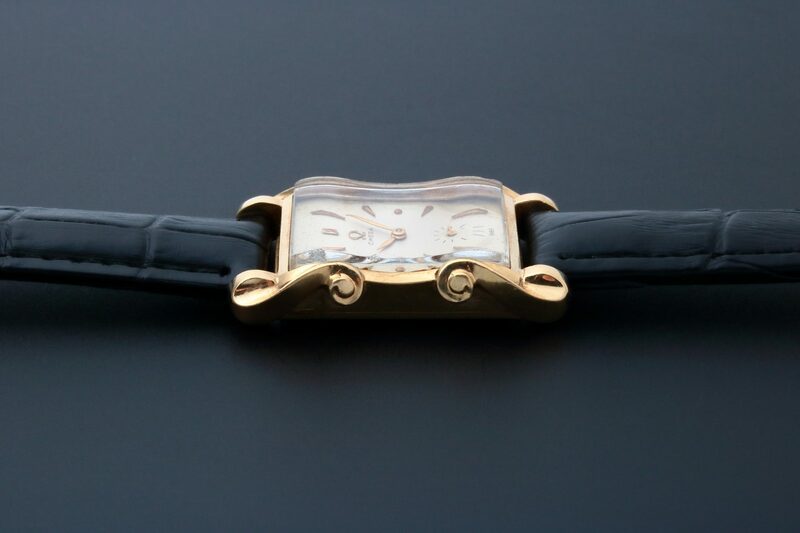 Crystal matches the curves of the case and lugs. 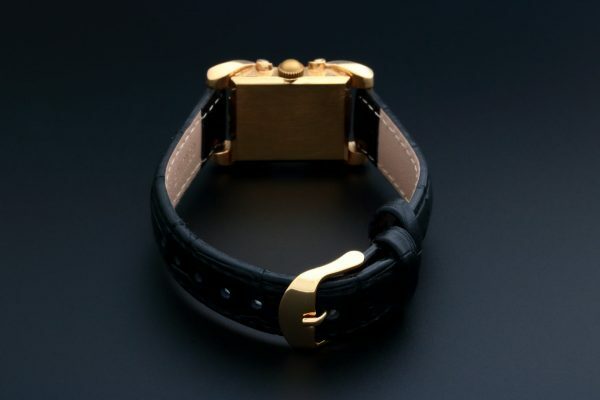 Very fine and unusual timepiece. 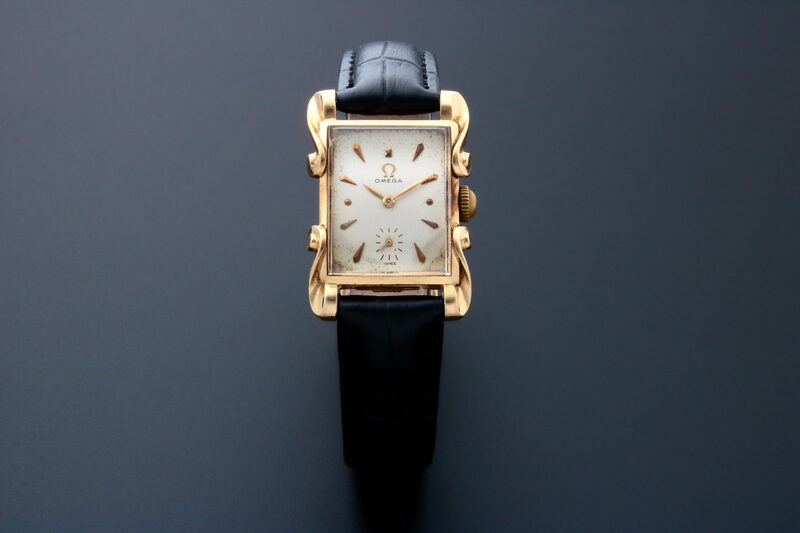 Rare and unusual vintage gents 14k yellow gold Omega dress wristwatch with fancy lugs. 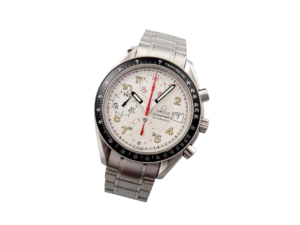 Silver Omega dial with applied arrow head markers and sub seconds dial at the 6 o’clock. 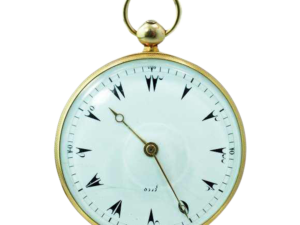 Swiss made, mechanical manual wind movement. Comes on a generic leather strap with a generic tang buckle. Approximate diameter is 22mm x 26mm from top lug to bottom lug. The case and crystal make this Omega model very unusual. 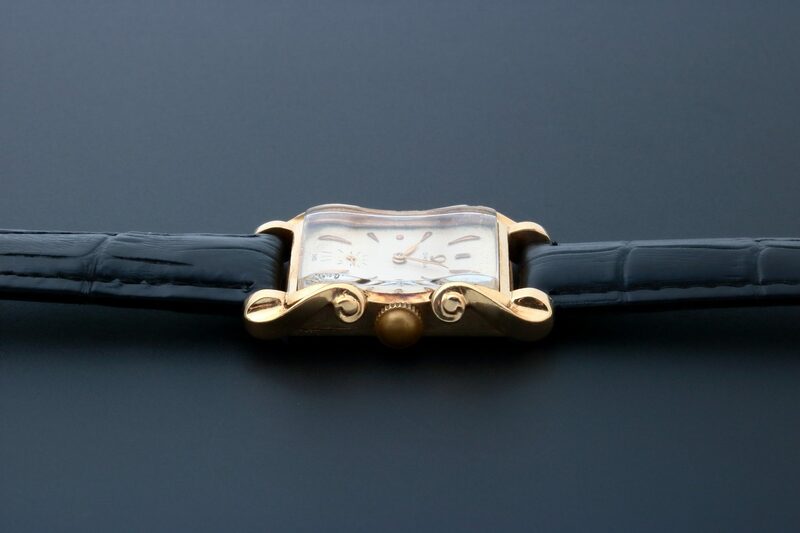 The “wave” shaped crystal follows the curves of the lugs and case. 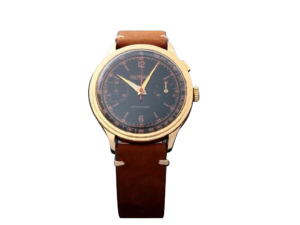 The dial has some discoloration and spotting towards the edges and the hour markers have patina which can be expected due to age. The crystal has a small chip on the edge next to the top left lug and bottom right lug. The case has areas of patina. 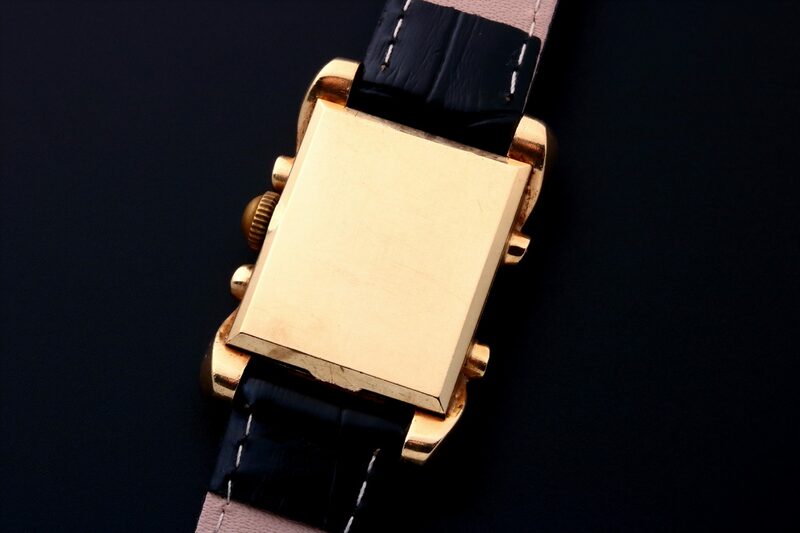 The watch has superficial scratches due to normal wear and age. Overall condition is good. Running at the time of inspection, however not checked for accuracy. An overhaul is always recommended for used watches.